SELLER WILL HAVE NEW ROOF INSTALLED AND BUYER TO PICK OUT SHINGLE WITH ACCEPTED OFFER, ATTENTION aviation enthusiast, This custom built one owner Executive estate is a must see. This home is located in the private airport gated community of Hidden Lakes. 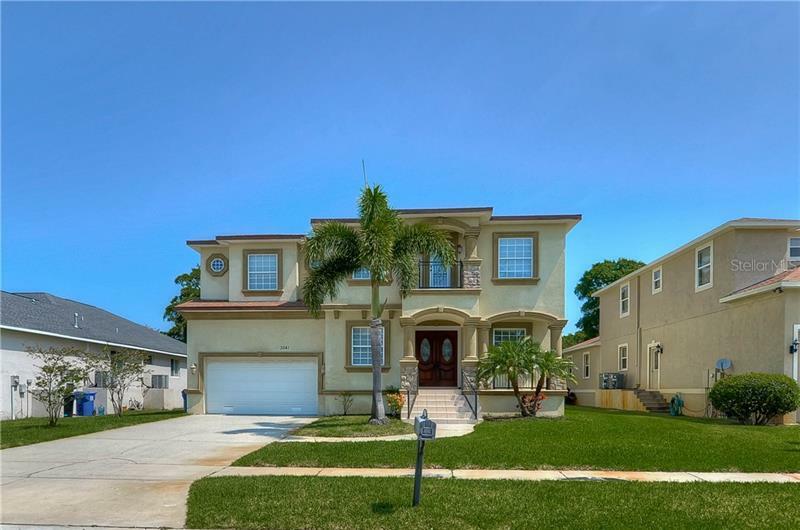 This 3 bedroom 3 bath pool home sits on over an acre corner lot with plenty of room to keep your small aircraft. The home was designed with a circular driveway making it easy to maneuver your aircraft and another three car driveway for your vehicles. Upon entrance to the home you will be impressed by the spacious open sunken den and dinning room. The master suite has pocket sliding doors exiting to the large custom pool. Across from the master bath is a separate beauty salon style vanity room with closet. Enjoy the built in wall aquarium next to the Breakfast nook and family room. The kitchen has a pass through window to the patio snack bar. The pool area is large enough to entertain all of your guest. There is a large pool supply closet built into the home poolside. The three car garage has a bonus room constructed to easily be kept as a room or be put back to a third car. All neighborhood roadways on the east side of the runway also serve as active taxiways, allowing pilots to taxi their aircraft directly to their home. The asphalt runway is is 4,425' x 50', allowing many types of aircraft to use the facility. PAPI and full runway lighting makes night operations much simpler. Contact your agent today to schedule your private showing.